"The IAG will ensure that the Department of State will remain closely synchronized with our interagency partners," Pompeo said, adding that the group "will also lead the way in growing efforts with nations which share our understanding of the Iranian threat." Senior policy adviser Brian Hook, a former adviser to UN Ambassador John Bolton, will head up the group. 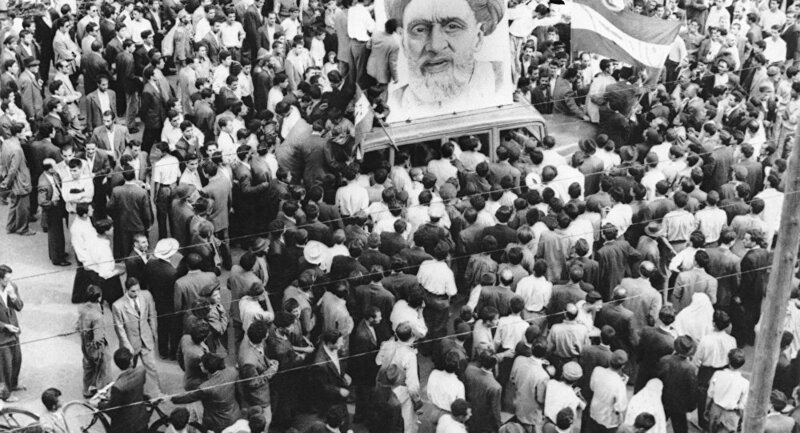 August 19 is the anniversary of the 1953 coup d'etat in which Iranian Prime Minister Mohammed Mossadegh was overthrown and his popular movement disbanded, and Shah Mohammad Reza Pahlavi was returned to the Iranian throne by the CIA and British Secret Intelligence Service, a project known as Operation Ajax. The parallels in time and form haven't escaped Iranians, either. Iranian Foreign Minister Mohammad Javad Zarif said on Sunday that Tehran will not let history repeat itself. ​Iranian Parliament Speaker Ali Larijani said the 1953 coup was the best historical lesson that Americans cannot be trusted. "How dare you talk about the freedom of the Iranian nation with your dark record of the Aug. 19 coup, and the appointment of a puppet totalitarian regime," Larijani said, according to the country's Islamic Republic News Agency. "Americans are imposing sanctions but they claim they are supporting freedom, human rights and global and regional security." Mohammad Marandi, an expert on American studies and postcolonial literature who teaches at the University of Tehran, discussed the parallels and more with Radio Sputnik's Loud & Clear on Monday, noting that the parallels were "extraordinary," but that the situation is different now than it was in 1953. ​"I don't think it's anything different from what we've had before," Marandi told hosts Brian Becker and John Kiriakou, "but it is interesting that it was announced on the eve of the anniversary of the 1953 coup in Iran, where the United States, along with the British, overthrew the national government led by Prime Minister Mohammed Mossadegh. And at that time, actually, the Americans and the British had a similar policy as what we see the Americans carrying out today. First of all, they used the media against the government — back then they were using BBC Persian — now they have a host of Persian-language TV channels as well as websites, and thousands of people who are actually on the payroll of MEK — Mujahedin-e Khalq, members. This is a terrorist organization that was based in Iraq for many years and fought against Iran under Saddam Hussein — each of them are online with multiple accounts and multiple identities." The MEK was even designated a terrorist group by the US State Department from 1993 to 2012. "So we have media, we have an oil embargo, which also we have today, and we have the United States back then and the British; they were paying different groups to cause riots in Iran. Different groups, even opposing groups, back then. And today we do see the Persian language media inciting violence, including BBC Persian, ironically, but also [Rudy] Giuliani, in his speech at the MEK terrorists just a few weeks ago, he said that the riots we saw in Iran a few months ago were not spontaneous and that ‘our people,' as he said in Albania, which means the MEK, as well as elsewhere, they were behind it." "It's extraordinary, the parallels that exist, between what happened in 1953 and what is going on today." On June 30, Giuliani, former New York City Mayor and now US President Donald Trump's personal lawyer, spoke in Paris to a rally by the National Council of Resistance (NRC) in Iran, an umbrella organization controlled by the MEK, the Guardian reported at the time. "We are now realistically being able to see an end to the regime in Iran," Giuliani told a crowd of about 4,000. "The mullahs must go, the ayatollah must go, and they must be replaced by a democratic government which Madam [Maryam] Rajavi represents… Freedom is right around the corner… Next year I want to have this convention in Tehran!" "Those protests are not happening spontaneously," Giuliani said. "They are happening because of many of our people in Albania [which hosts an MEK compound] and many of our people here and throughout out the world." Marandi told Sputnik that "now the United States is taking off the gloves." 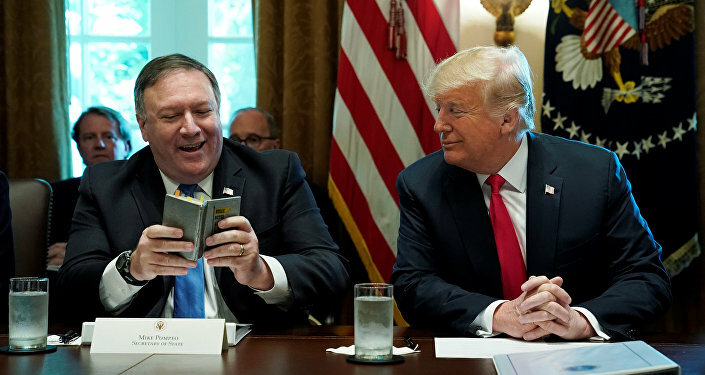 He noted that while this sort of surreptitious regime-undermining is typically more the purview of the CIA, the Iran Action Group is part of the US State Department, a pivot that might be attributable to the presence of anti-Iran hardliner Pompeo, formerly the head of the CIA but now secretary of state. However, despite the change-up, the scholar didn't think the new American initiative would succeed. "I cannot foresee any scenario in which the United States is able to undermine the Islamic Republic of Iran. They can hurt ordinary people, they can make some people come to the streets, they can help create riots in some areas, but the bulk of the population is not going to abide by American policy. 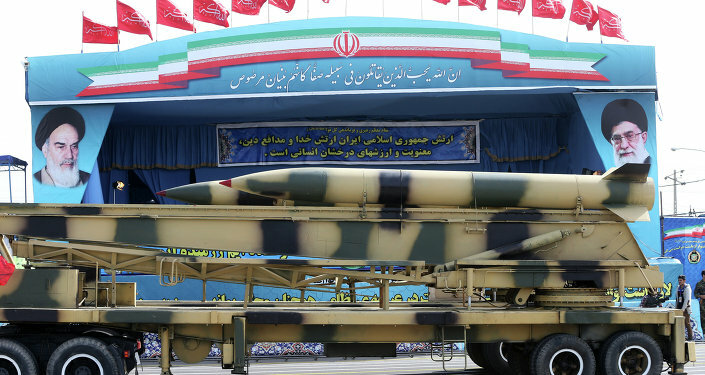 The only thing it will do is that it will create hardship on the Iranian side, but on the other hand it is going to create a new generation of people who are hostile to the United States." Marandi noted that former US President Barack Obama was "able to cultivate this aura that [the US] is seeking a solution," which won some people over. But today under Trump, "the US government is universally disliked in Iran." More than that, a sizeable part of the Iranian population is now not only against the US president, but has an unfavorable opinion of the US as a country, too. "There's a huge difference today… Mossadegh was naive about the intentions of the United States; he was also, I think, naive in trying to preserve the monarchy, which was corrupt and affiliated to the United States and the British, and he was also unable to create national unity, and there were, as a result, many divisions," Marandi said. "And also Iranian society, in my opinion, was at that time less politically mature than today. Today, the Iranians — first of all, they still remember 1953; it's something that is a part of the nation's psyche — and they have a lot of skepticism toward the United States and the British as a result. And also the leader in Iran… the leadership in general… they're not naive about the United States. There is a big difference between Iran today and Iran in 1953, and I think… despite the fact that we have very brutal politics in our country, and we have different political parties that have different agendas." "First of all, Trump has succeeded in uniting people more than I have seen in a very long time, and second of all, I think in general the political establishment is much more wary about the United States."